Young children find their own learning situations in play. Studies demonstrate that good players show more empathy towards others, develop their social skills and they are able to see things from the perspective of the other. Play also strengthens the imagination – essential for scientific exploration. Through play children are able to exercise and consolidate their ability to understand and think and to develop and strengthen their concentration. 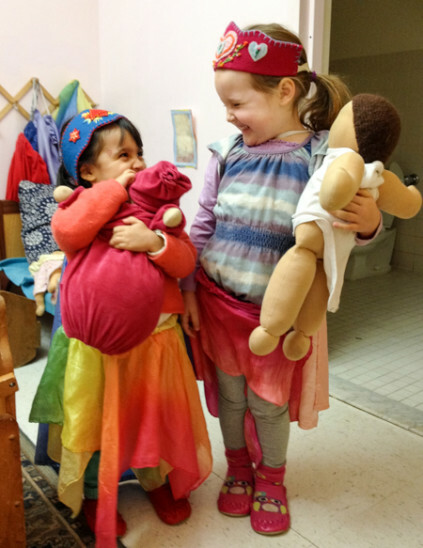 Creative play supports physical, emotional and social development and allows children to learn through investigation, exploration and discovery. It encourages children to become inventive and adaptable. Circle-time is when the children come together and sing traditional songs; play games and rhythmical verses are spoken and acted out. The activities in circle time help focus the children’s attention, develop their linguistic skills and help strengthen their motor skills. Listening and clear articulation is practiced through this kind of rhythmical recitation which is repeated for a week or more. 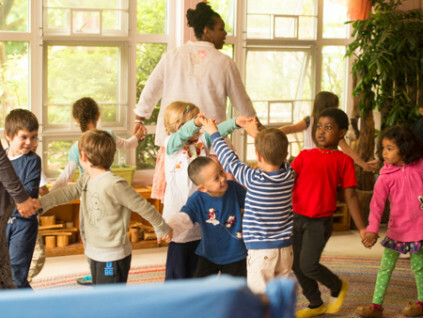 Children leave our Early Childhood programs with a rich and varied repertoire of songs, stories and poems, including verses in French, which they have learned during circle time. In the kindergartens, the eurythmist (movement teacher) and French teacher visit weekly and contribute to circle time.